Having travelled out of my home country for the first time, I hardly believed my experience out there. Through the windows of the King Lion bus on the way to Harare, I could see fresh large water bodies, grasslands, mines and also small monkeys. While in Zimbabwe, I had the best time with my USAP family, as it was a great opportunity to meet people from a different country. I realised how beautiful and friendly Zimbabweans are. During the first day, when we went through an obstacle course, I learnt that to every obstacle there is a solution. I was able to think of solutions I had never thought of and this happened to be one of my favorite activities. Sitting in that thatched conference room with all of the brilliant minds was so exciting, but above all sitting on the banks of Lake Chivero was the most wonderful experience. I had never in my life paid such attention to the sunset. I truly enjoyed every single moment spent on that lakeside. 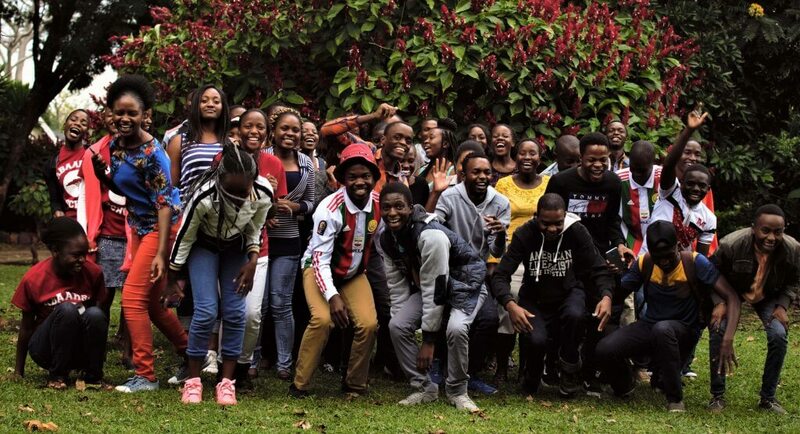 Thank you to the teams at Education Matters and USAP Zambia for organizing that wonderful bootcamp for it has really changed my view of foreign countries. Thank you to all the USAP Achievers; I wish I could travel back to that moment in the near future. Given Zulu is a current USAP Zambia student who is finishing her Grade 12 year at Pestalozzi Education Centre in Lusaka. Next Next post: USAP Perspectives: Take a Risk – Dance!